Red Head station on US 62, south end of Millersburg, Ohio. Taken Sept. 15, 2003 by Walt Wimer. Closer shot of the above Red Head station in Millersburg, Ohio. by the time of the Ashland-Marathon joint venture in marketing. rights to the brand name or at least been licensed by Ashland to use it. is good news for most of us into collecting gas/oil items of the past!! company has. You can see him and another fellow servicing a car in the photo. 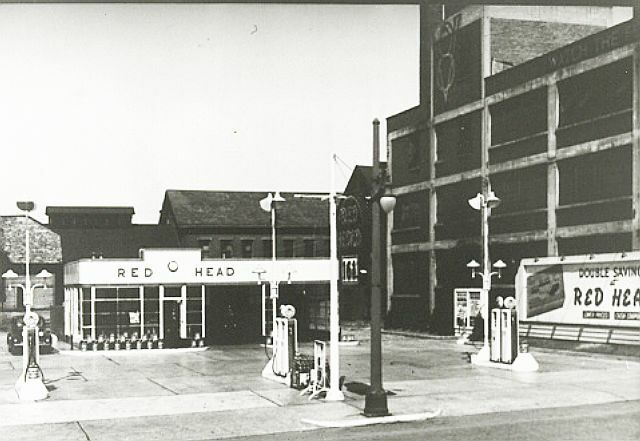 Red Head station at 408 S. Main, Butler, PA in the 1940s. 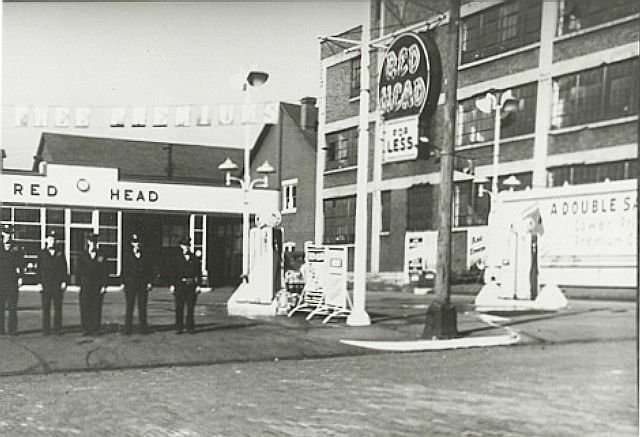 which remains a Ford dealer as of 2003. From Walt Wimer, Oct. 27, 2003. Another shot of the Butler, PA location in the 1940s. Here is a classic shot with the attendants in their military-style uniforms. 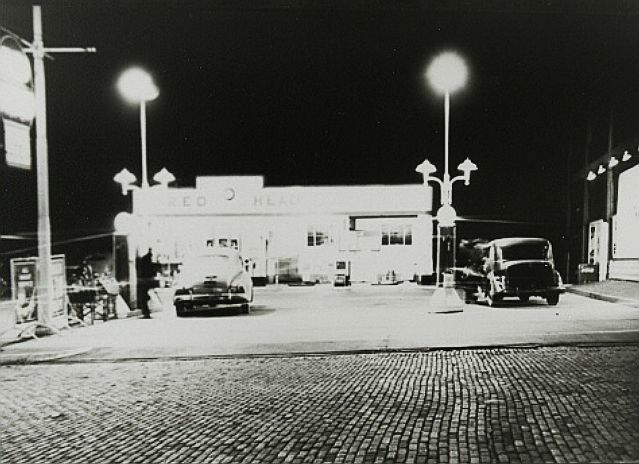 Nighttime shot of the Butler, PA location, sometime in the 1940s. the city directories and my old maps, the station was built around 1940-41. 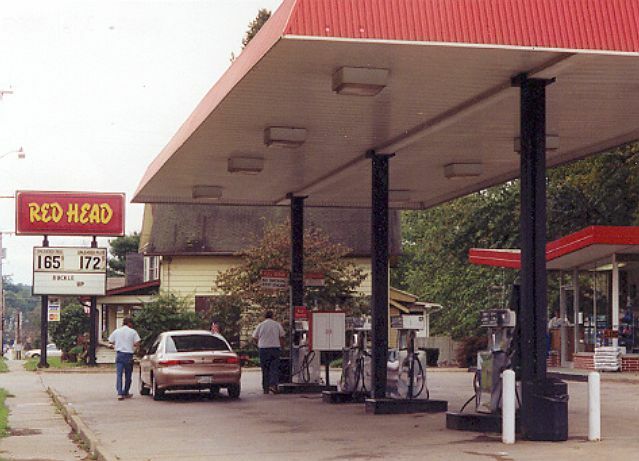 Ashland, so they sold them off to a local 7-Eleven franchise. 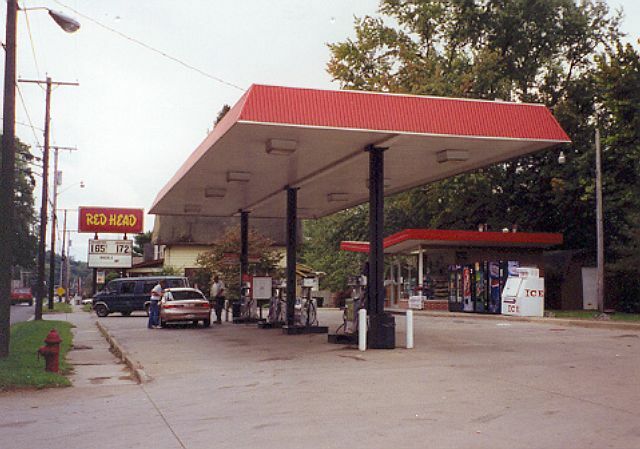 The site continues today as a 7-ELEVEN store with MARATHON gasoline.